Two awful pictures. Heartbreaking for sure. 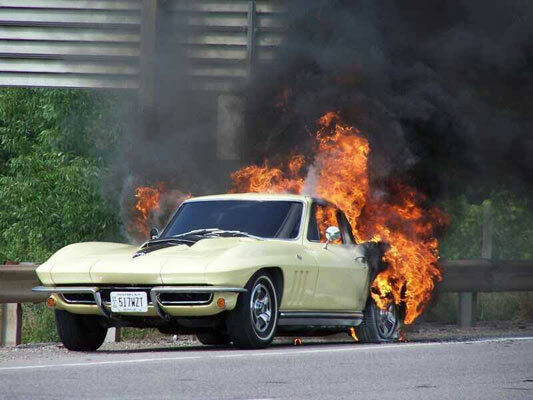 I recall installing a new carb on my Road Runner and just before we hit the key I got the fire extinguisher out. Nothing major, but it was a close call. Prevention is always better than cure, so always have a fire extinguisher in your vehicle. Without one I have no chance. 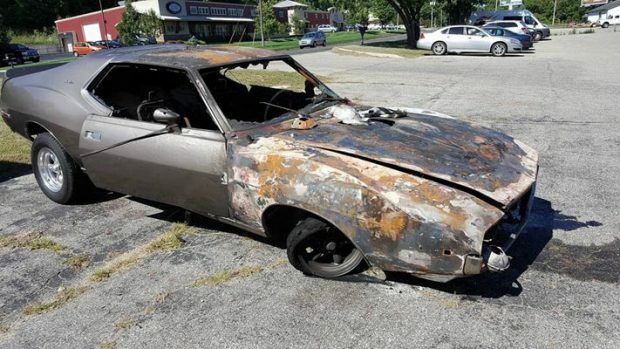 I told you earlier this year a friend of mine lost his hot rod and took two other cars with him, due to a vehicle fire. It was a battery fire after hours they guess. A key was left on and somehow a spark jumped and caught the cars and building on fire. Awful. That one I guess would be unavoidable. But, the fires always start one of two ways. Fuel leak or a wiring issue. Check, double check, and test before hitting the road after some sort of mechanical work. Just a word to the wise or you will get to know your insurance agent much better.